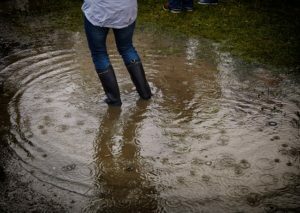 With these simple drainage tips, you’ll have a better idea of how to prevent flooding from happening to your Maryland home. With the incredible amount of rain Maryland has seen this year, you might have noticed some troubling drainage issues around or in your home. These issues cannot be taken lightly, and if they are not tended to in the proper amount of time, they could become much more costly issues down the line. With these simple drainage tips, you’ll have a better idea of how to prevent flooding from happening to your Maryland home. Your gutters might not be the first thing you think of when you’re finding ways to solve your drainage issues, but cleaning out your gutters is immensely helpful. Make sure you completely clear out your gutters as well as your downspouts from any debris that gets clogged. You also need to accurately assess the grading or slope of your landscaping. The ground surrounding your home should not be sloped toward the foundation of your home. 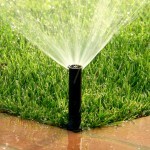 Make sure that the ground area within 10 feet of your home slopes away from your house. Downspouts should be directed at least 10 feet away from your home. Be sure that the flow coming from the downspouts is directed away from your home. 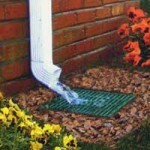 Even if they downspouts drain far away from your home, the water should not be traveling toward your foundation. Having your roof inspected every year is a great way to prevent leaks. There could very easily be leaks that cause damage that is not visible to you unless you have access to your attic. By having your roof inspected annually, you are ensuring the integrity of your roof. If you have noticed any leaks or water damage in your Maryland home, it’s time to call a professional. 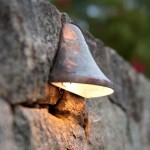 For more information about outdoor lighting, irrigation, and drainage for your Maryland home, call Aqua-Bright today at 410-489-9009 or take a tour of our website. 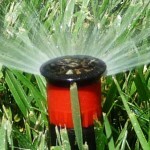 We offer the highest quality irrigation services from seasoned professionals who have years of experience. 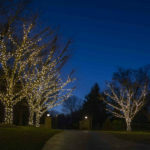 If you’re considering landscape lighting installation or an irrigation service installation, you probably have questions. We’re happy to answer all of them – and provide a free evaluation of your property. Aqua-Bright is located in Sykesville, Maryland, and we service surrounding areas as well as Northern Virginia. You can follow Aqua-Bright Irrigation & Illumination on Facebook, Twitter, Google+, and LinkedIn for more updates and information about our illumination and irrigation services! For examples of our work, check us out on Pinterest, too! This entry was posted on Friday, July 27th, 2018	at 2:28 pm	. You can follow any responses to this entry through the RSS 2.0	feed. Both comments and pings are currently closed.